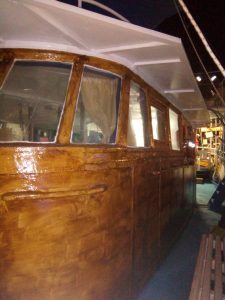 Alkmini boat its a traditional greek wooden boat made it in Syros island.Its 20 meters long ,has 4 coubins (16 beds),nice salloon with bar,2 wc,big sunny and with shadow decks,3 main engines cummins with sea service speed 12 knots.The boat is also a sailing boat.Every year the boat pass all the most important surveys to be safe and has more safety equipment than they need to be more safe.The boat has capacity for 85 passengers but has spaces for 130 passengers so all our customers feel comfortable which is important for a nice and safe trip.Our crew are very expirience and friendly and our captain is captain class A for big ships master.We have day and night trips to all east coast side of rhodes island.First for us is the safety for our customers.Enjoy a pleasure cruise with us. 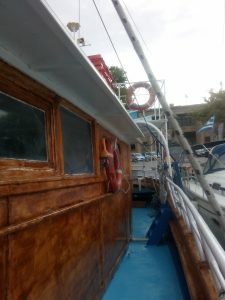 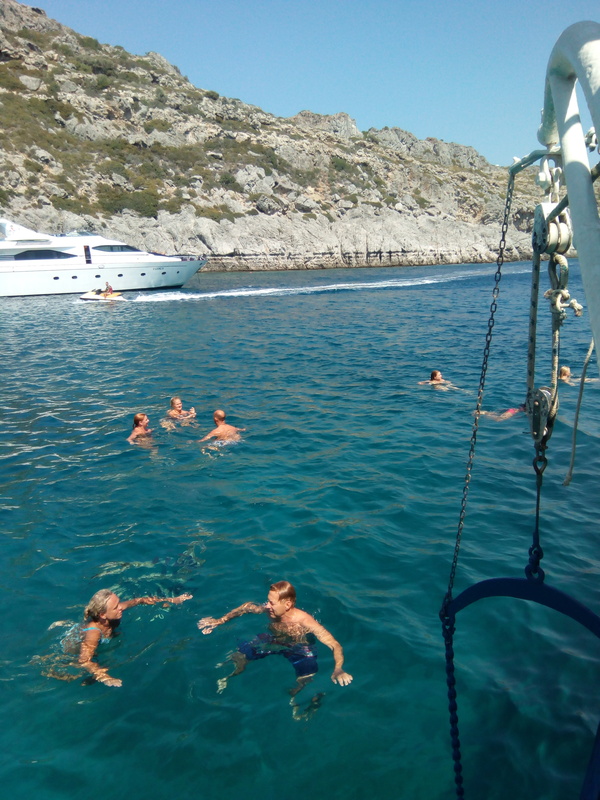 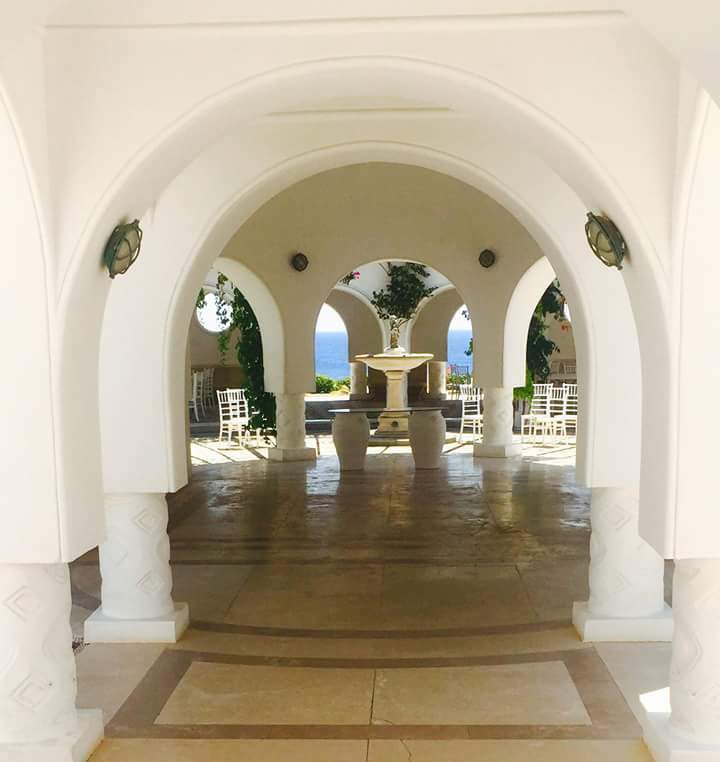 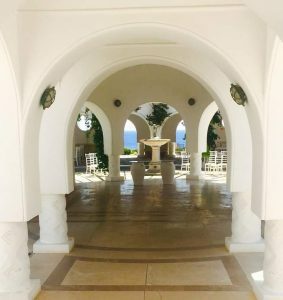 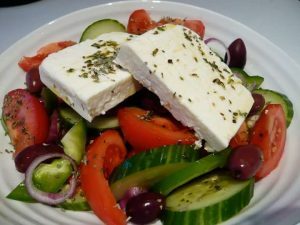 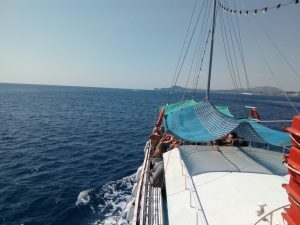 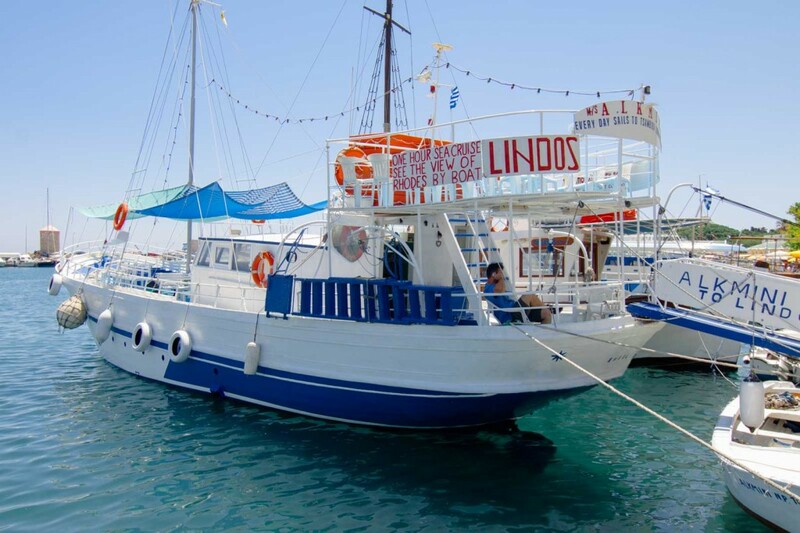 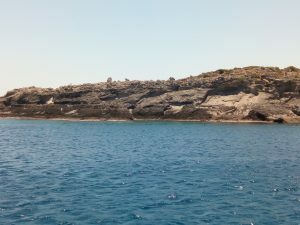 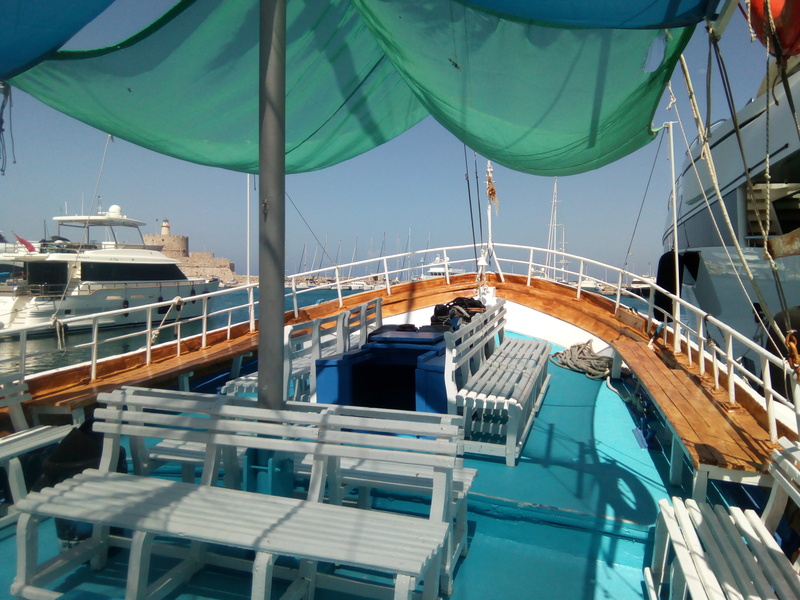 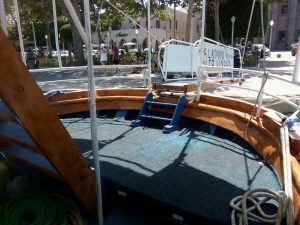 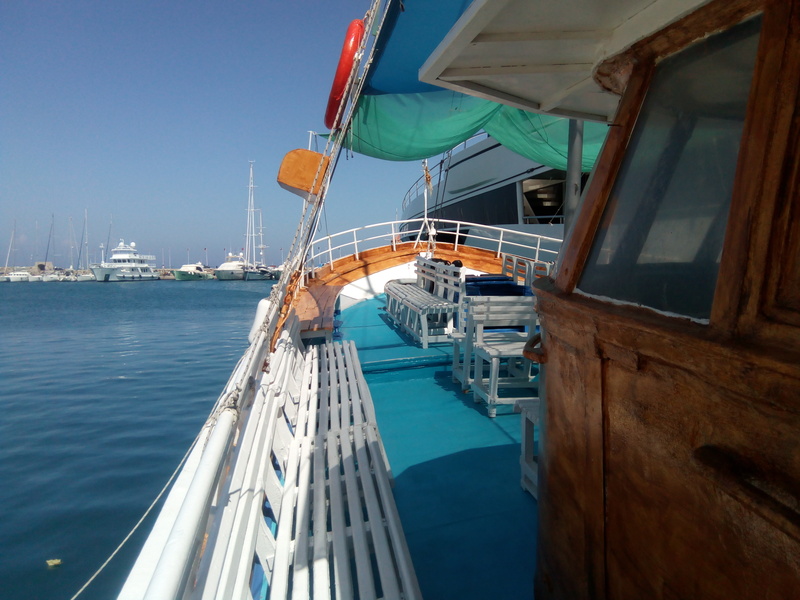 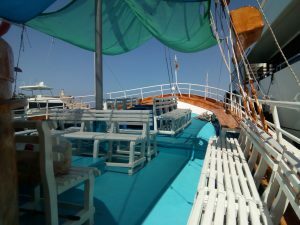 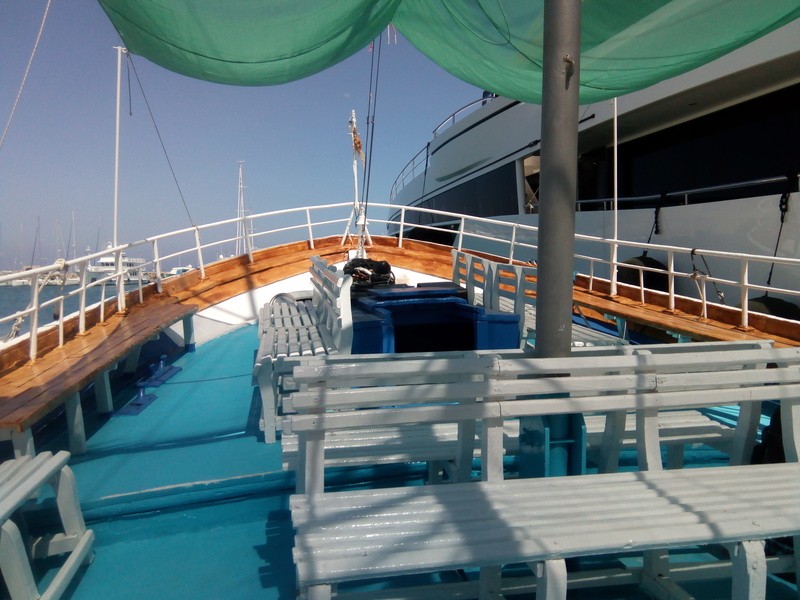 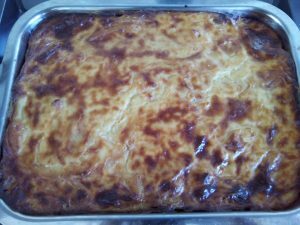 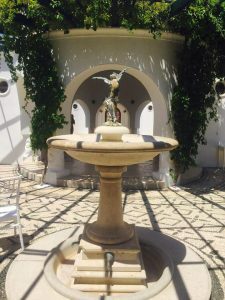 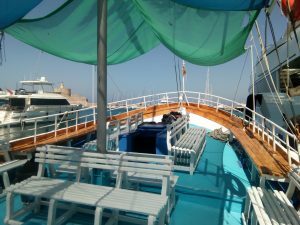 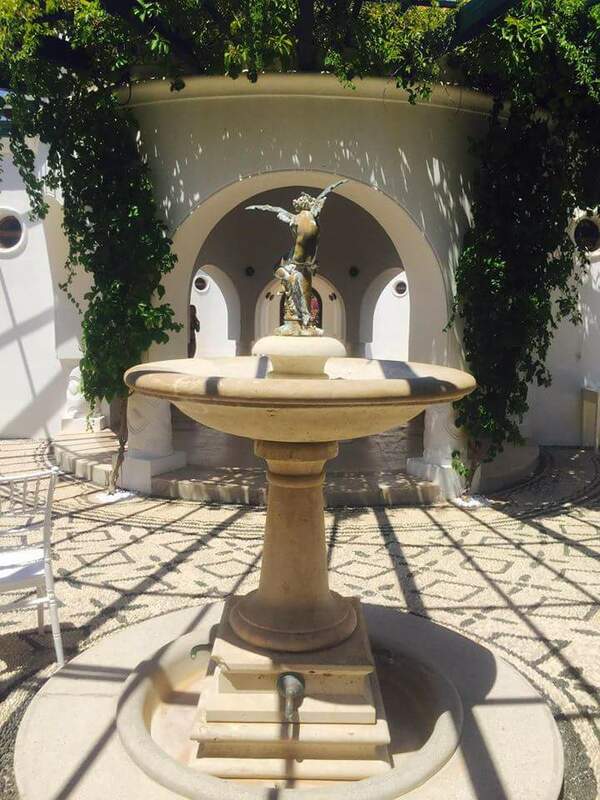 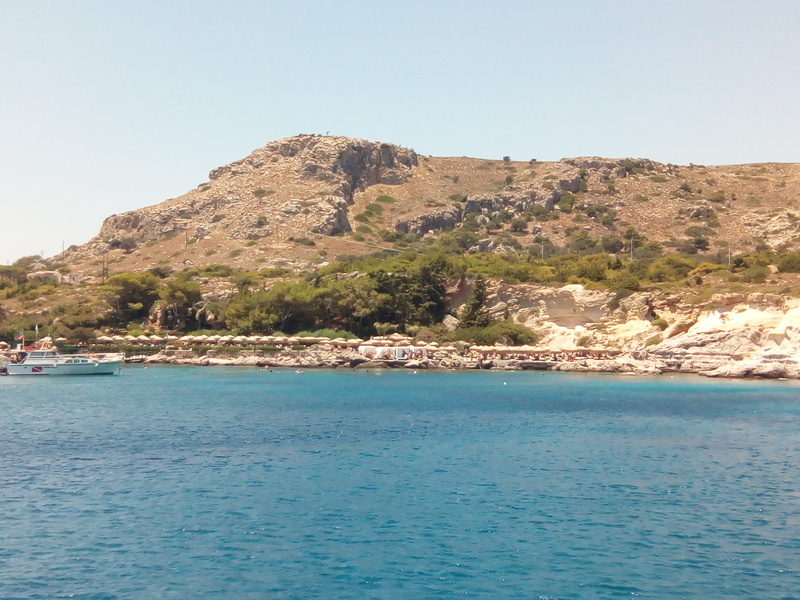 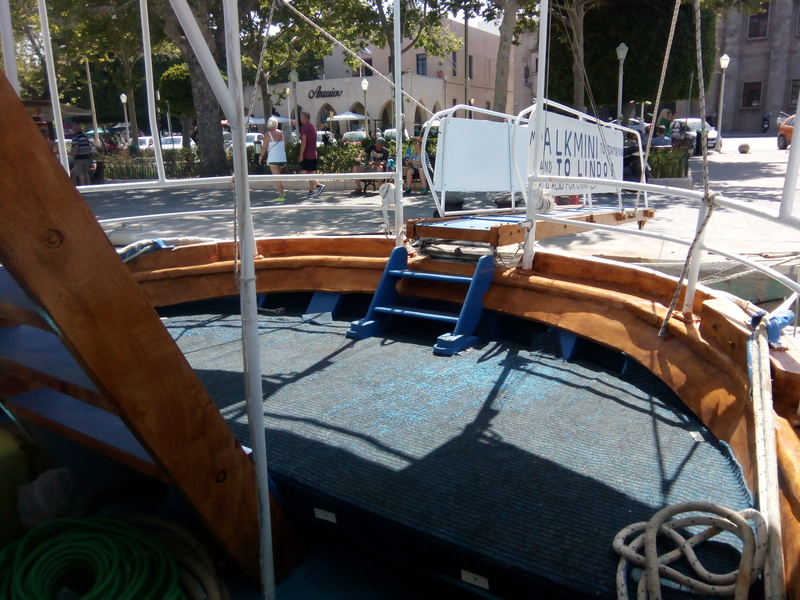 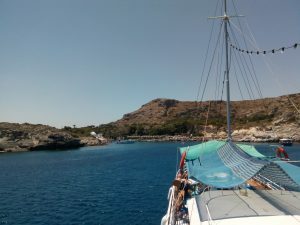 Enjoy a trip to Lindos with us.We sail along the wonderful east coast beaches of Rhodes.We departure from Mandraki at 09:00 and we arrive in Lindos in about 2 hours. 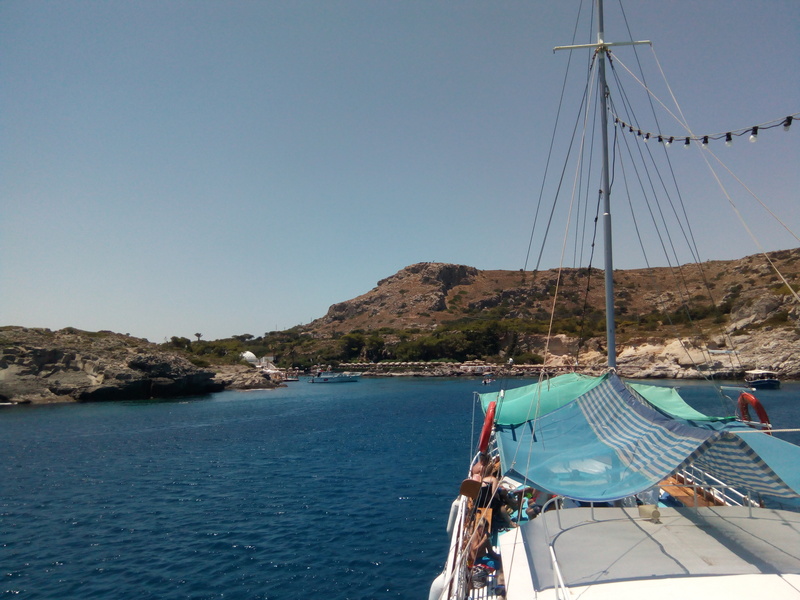 We stay 3 hours in Lindos, time to see Acropolis, swim, launch. 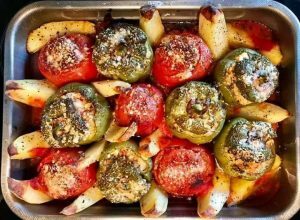 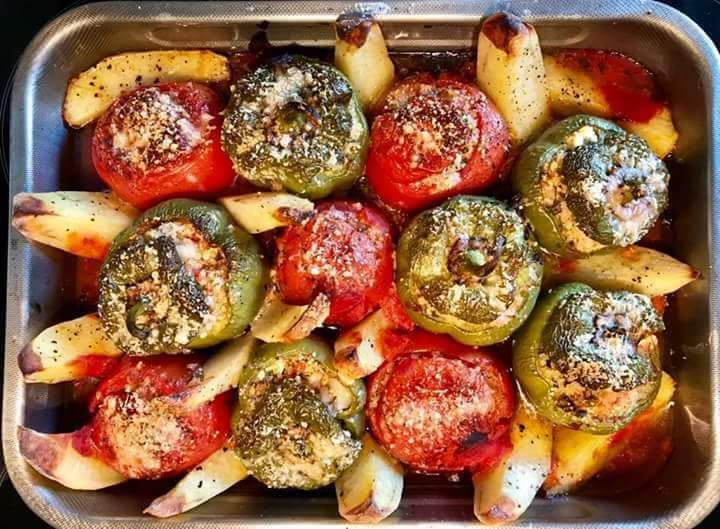 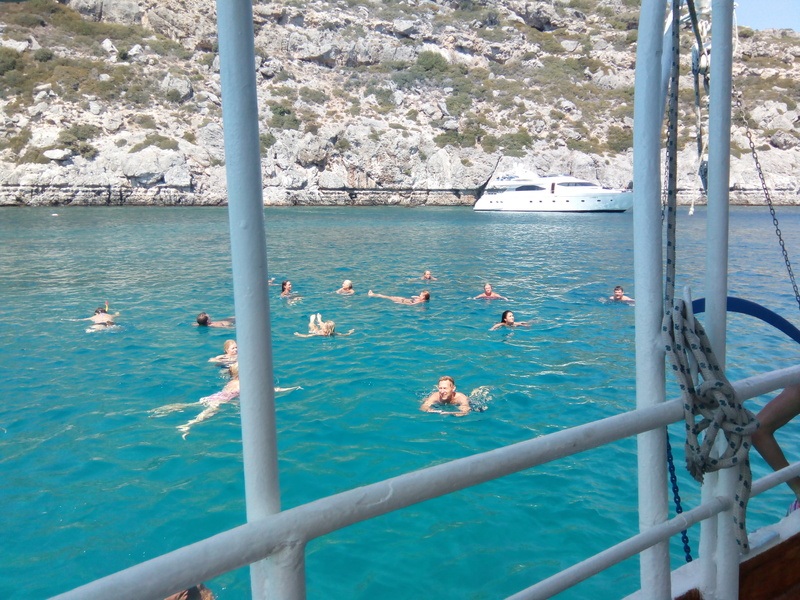 On return we stop in Stegna or Tsambika beach for 30 minutes swim and snorkelling.Then we pass from Anthony Quinn bay and Kalithea beach for photos and we arrive in Mandraki at 17:30. 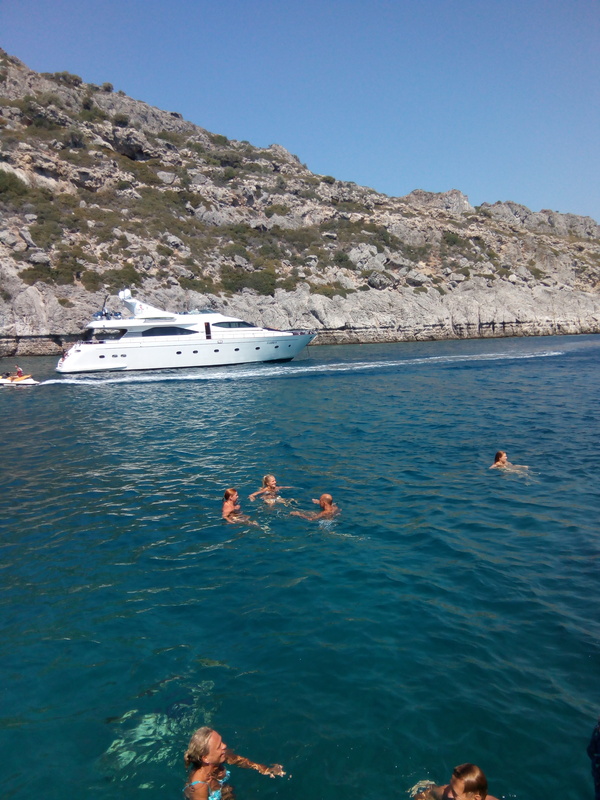 We provide snorkelling equipments for our customers. 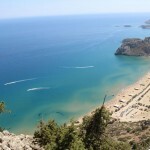 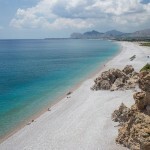 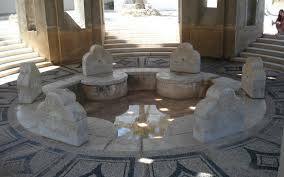 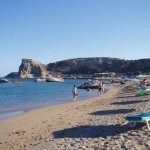 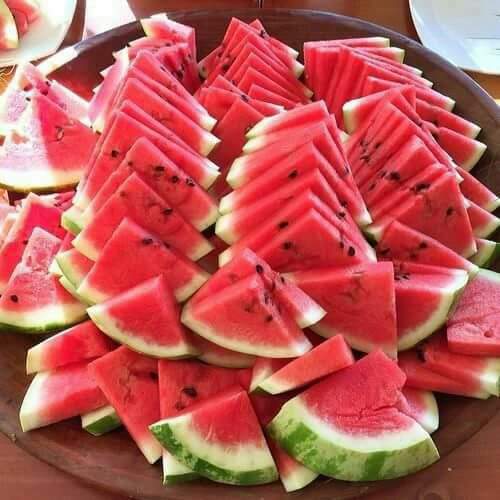 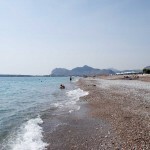 Enjoy a trip with us to the wonderful east coast beaches of Rhodes. 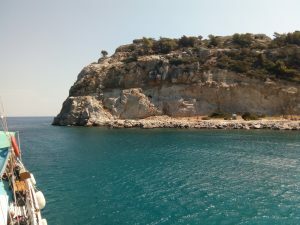 We departure from Mandraki at 09:00 and we do first stop in Anthony Quinn bay for swim,then we go to Stegna beach for lunch and swim for 3 hours.On the return we go to Tsambika beach and Afandou beach for swim,after we pass from Kalithea beach and we do stop for photos and we return in Mandraki at 17:30. 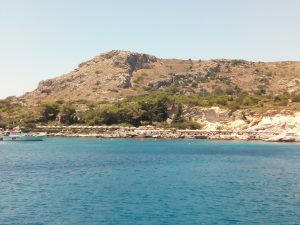 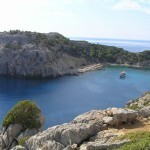 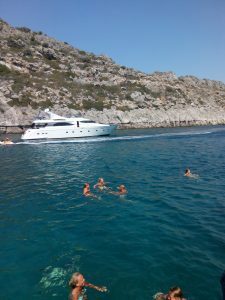 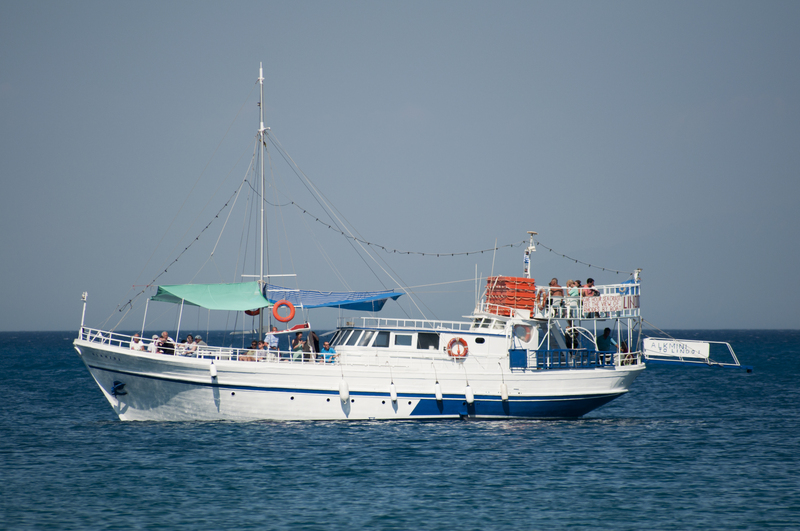 Enjoy a pleasure cruise with us to the wonderful east coast beaches of Rhodes. 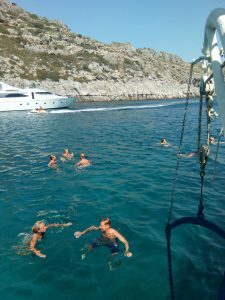 We departure from Mandraki at 10:00 and we do first stop in Anthony Quinn bay for one hour swim,snorkelling,relax on board with nice musik,then we go to Traganou Afandou beach and we do stop for another one hour swim or snorkelling,relax under the sun or under the shadow.There we have also our buffet with nice greek traditional launch with drink. 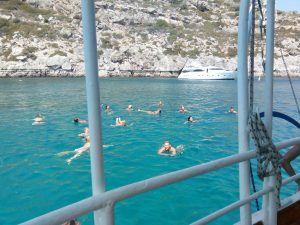 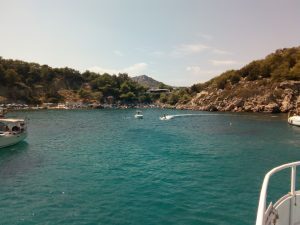 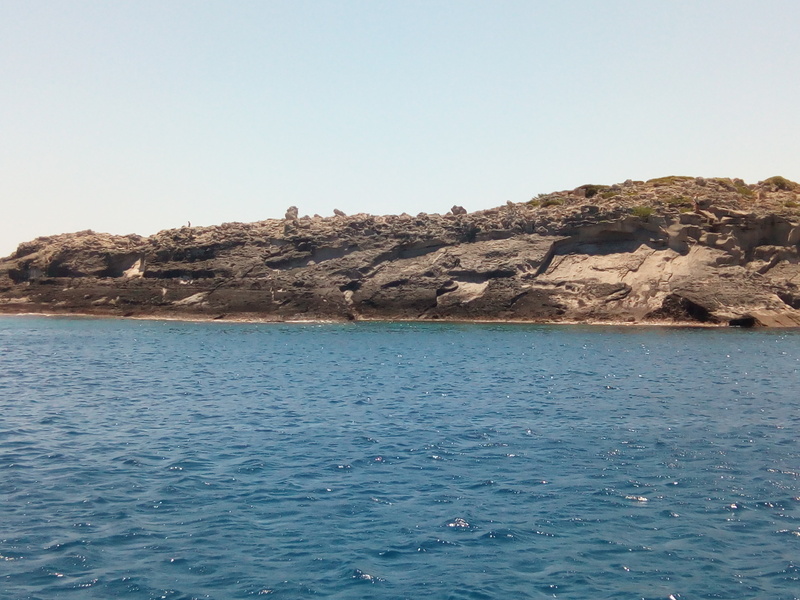 On the return we stop in Kalithea caves for one hour swim.There its a wonderful time for snorkelling and we return in Mandraki at 16:00. 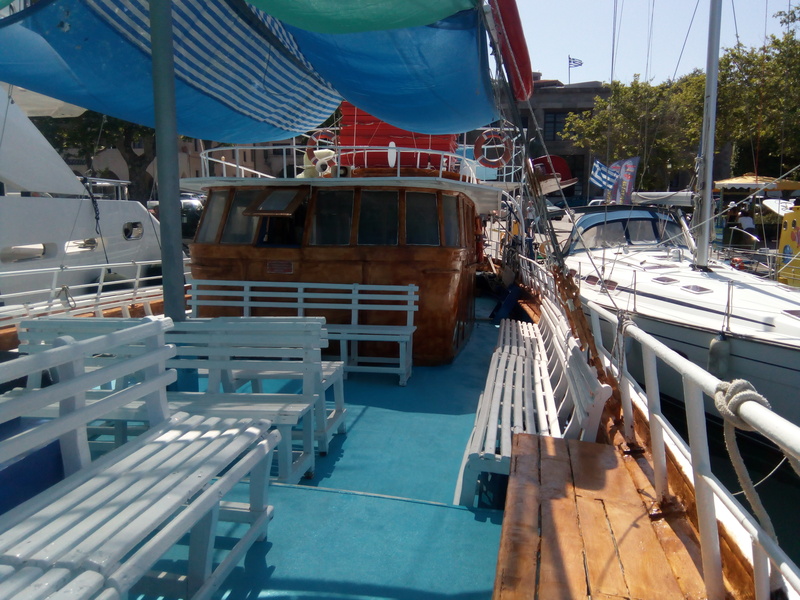 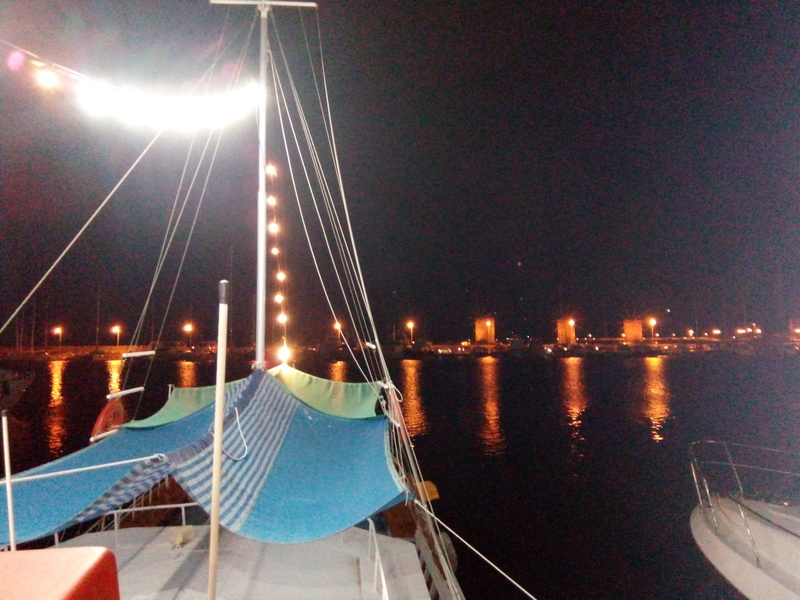 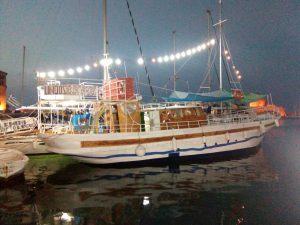 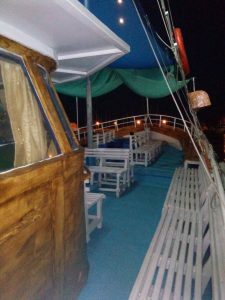 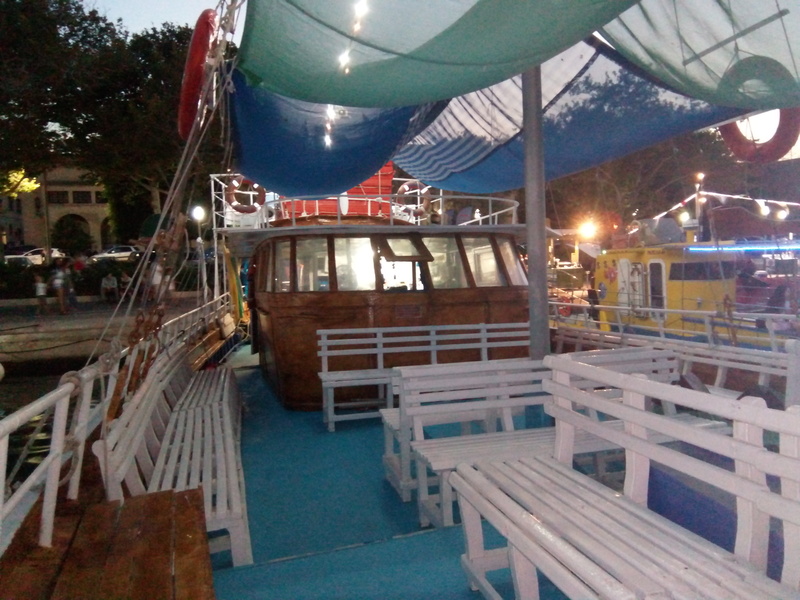 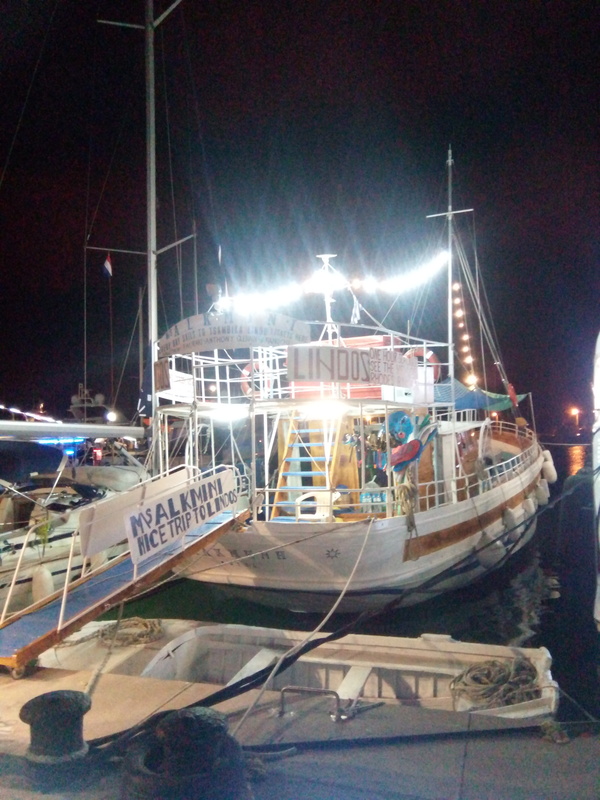 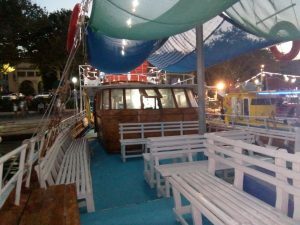 Enjoy a trip with us for an hour mini cruise or night cruises in rhodes island and see the wonderful view of rhodes island.